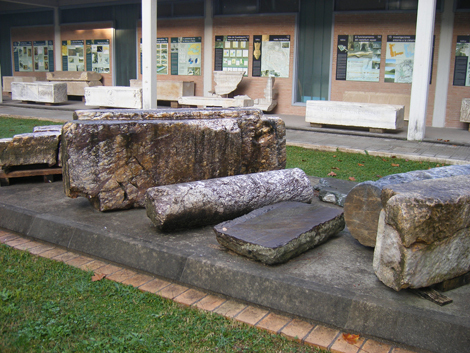 Marble is another important source of information about trading and commercial contacts. 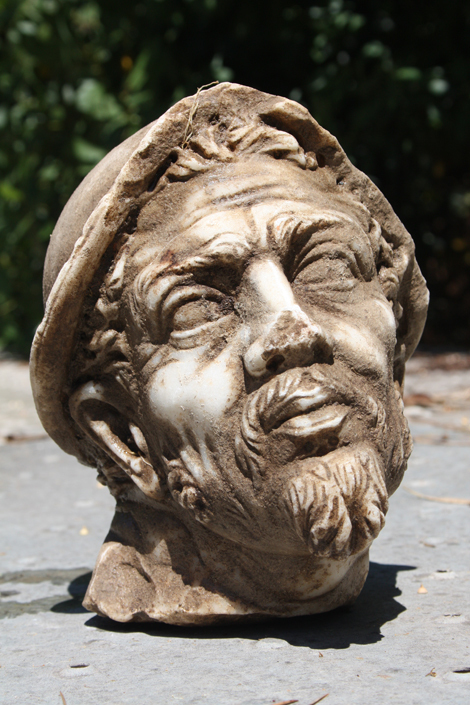 Many of the finds from the Portus Project excavations have consisted of marble plaques from the Palazzo Imperiale, although a column capital, fragments of a carved chancel screen, and a possible head of Ulysses have also been found. 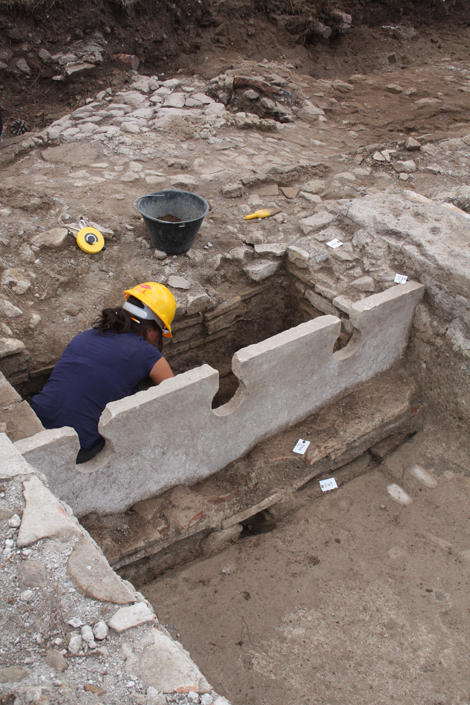 In general, this excavated material attests to the many varieties of marble from across the Mediterranean that were either being imported for use on monuments in the city of Rome, or that were being redistributed from Portus to other areas of the Mediterranean. It supplements what we already know from earlier research at the site of the marble yards (statio marmorum) on the northern bank of the Isola Sacra. One of the most impressive collections of marble on site relates to a richly-decorated latrine in the Palazzo Imperiale. Moreover, meticulous research into the surviving types and patterns of marble from across the Empire has enabled us to recreate the overall decorative scheme of a pair of rooms to the west of the amphitheatre.